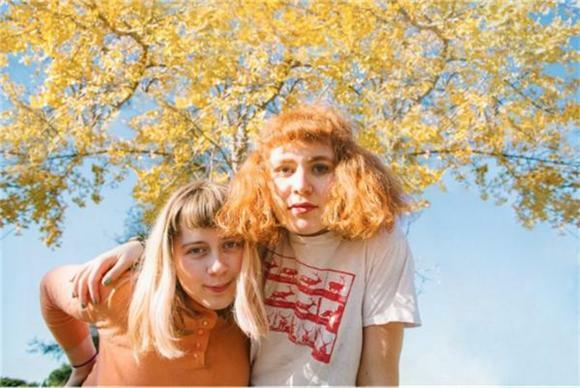 We've been following Girlpool for a few months now, but haven't gotten much of a sense of who they are outside their quirky music videos and hipper-than-thou hair cuts and style choices. Thankfully the dynamic hipster duo has just dropped a 25 minute documentary, Things Are Ok. The Corey McConnell directed short follows Cleo and Harmony on their first east coast tour this past Fall. In between live footage from their shows, the documentary focuses on their relationship and, at times, complex dynamic between the two. The girls personalities shine as they describe the intimacy and power of writing songs together, and candid video of them outside the spotlight. As Harmony puts it, "It's comforting that regardless of our environment, it's Cleo and I, and that we are always constant."